This 45W power supply is an official Asus AC adapter that can be operated with various Asus laptop models. Charge your Asus laptop with this 45W power supply. This adapter is ideal to take over your original one that is damaged, or to be used as an AC adapter. Try to prevent using non-official suitable adapters that could ruin the motherboard in the long run. This power supply pertains to the following references : ADP-45BW Y2B, AD2066320010LF, W16-045N3A. Caution : adapter with an american electrical outlet. Be cautious while searching for the adapter based on the model of your computer and not the references that are on your actual power supply. Please check the voltage and amperage of your adapter before placing an order. If you're not certain about the item you are about to purchase, do not wait to use our configurator by inputting the exact model of your laptop/smartphone/tablet. 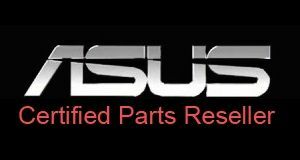 The inquiry will guide you to all the Asus spare parts suitable for your laptop. You can also write us an email via the contact form.